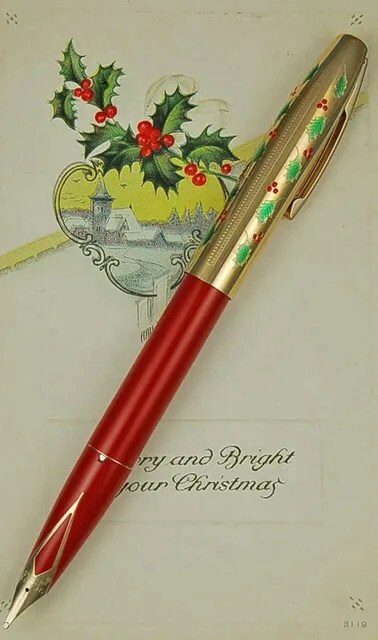 Happy Holidays and Merry Christmas from Fountain Pen Restoration. 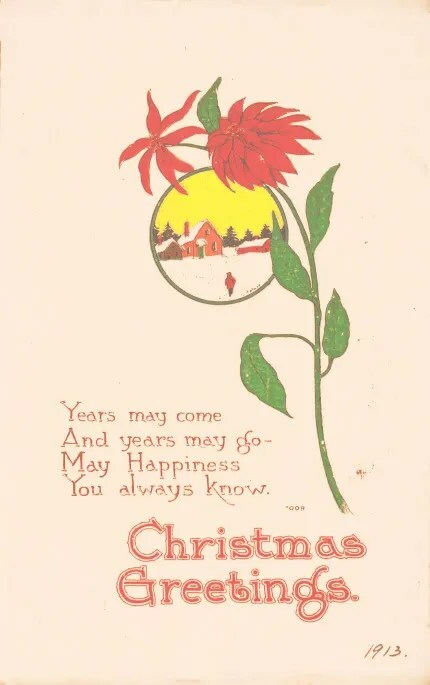 This is my 6th Christmas Post. 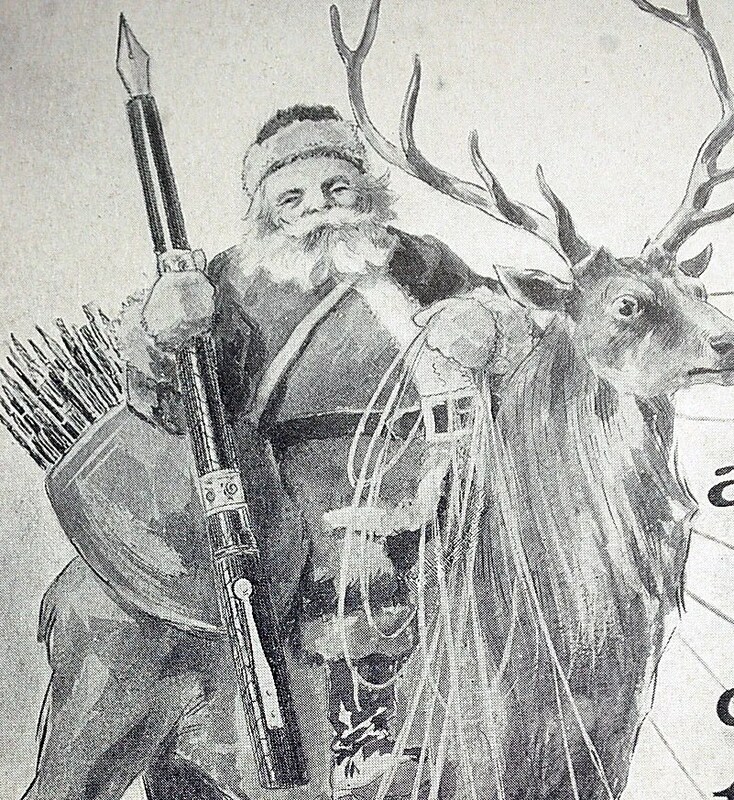 After running out of Christmas Pens, I have looked for some unique advertisements the last two years. 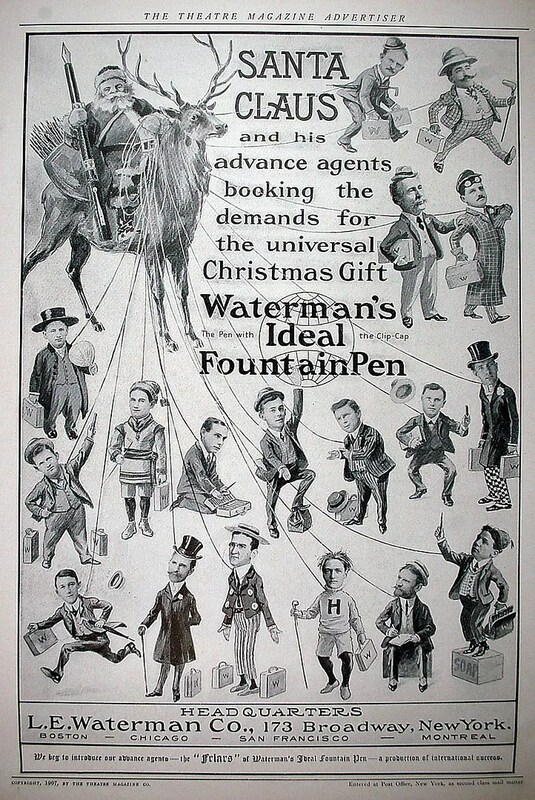 Last year was a 1907 Wirt Christmas advertisement, and this year is a Waterman from the same year. This advertisement has a lot to look at, being theatrically themed, as it appeared inside the front cover of Theater Magazine. I am not an expert on early 20th Century theatre, but supposedly the persons depicted were recognizable to those that were. 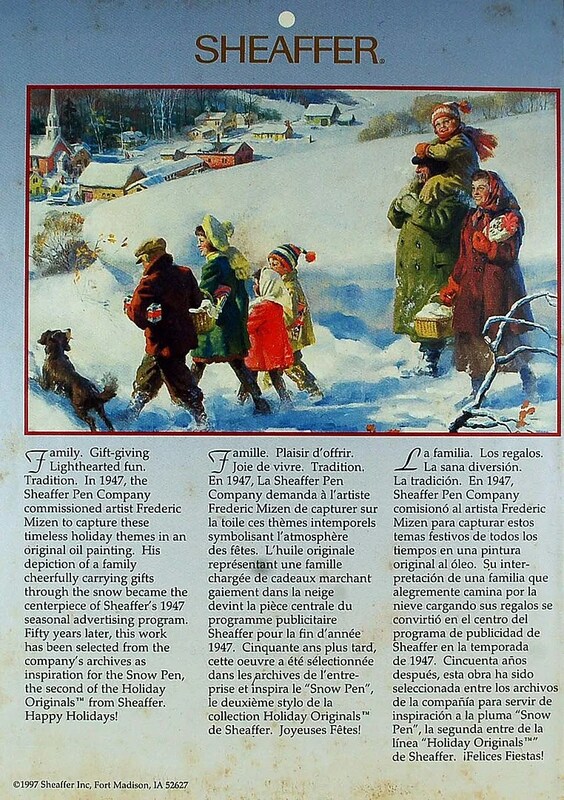 My favorite section of the advertisement is below. 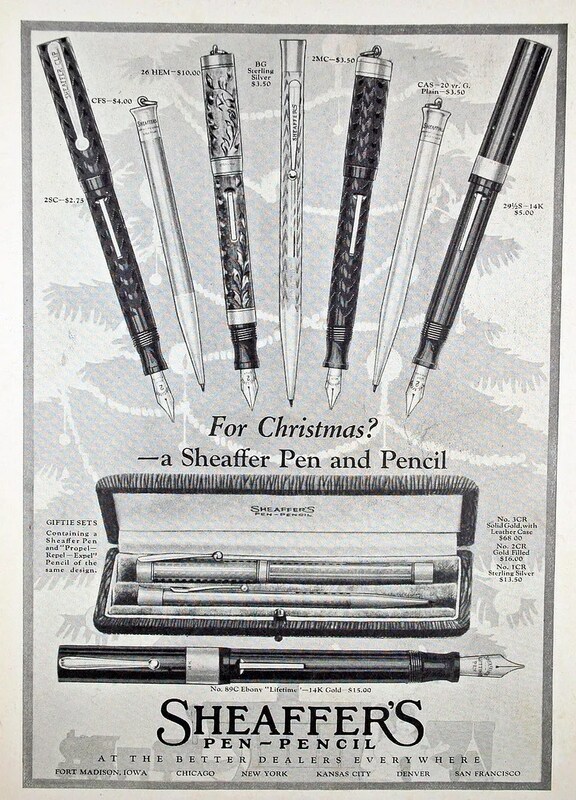 To those of us that enjoy vintage pens – this would be a visit from Santa we would not soon forget! Have a great Holiday Season and a Healthy New Year! 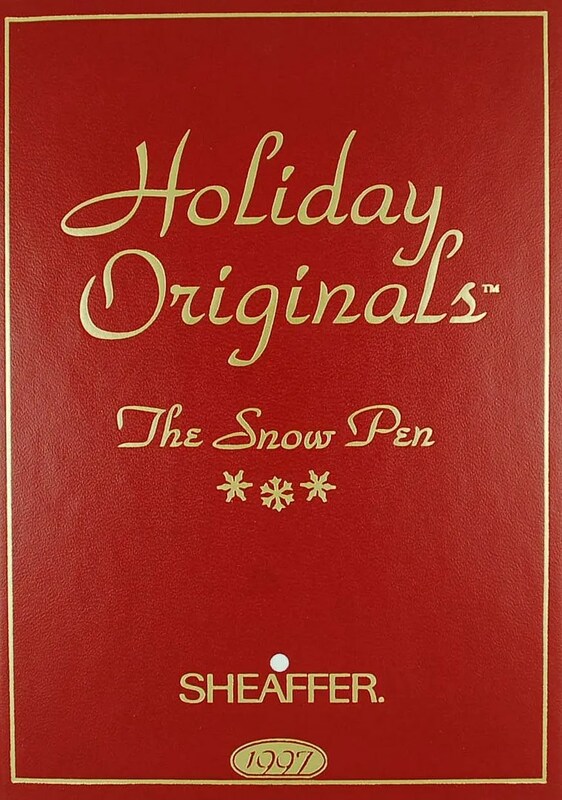 This year, I was lucky enough to pick up Sheaffer’s second Holiday Pen ~ The Snow Pen ~ which was produced in the same type of box as the Holly Pen (1996), in 1997. The snow pen is actually a Prelude model cartridge/converter fill. Research indicates that these also came in sets with a matching ballpoint, though it appears that mine came without this option. As you can see, it is a fine point. 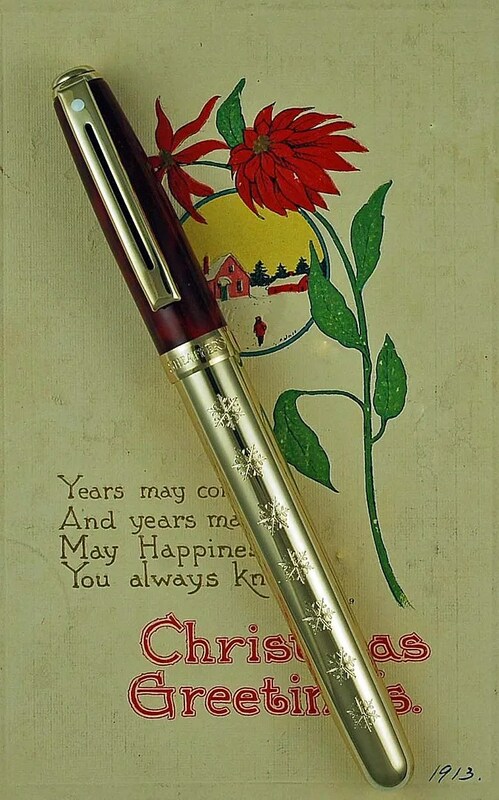 So, Merry Christmas, Happy Holidays, to all pen collectors and restorers out there. Have a great Season and here is to many more pens to discover in the future! 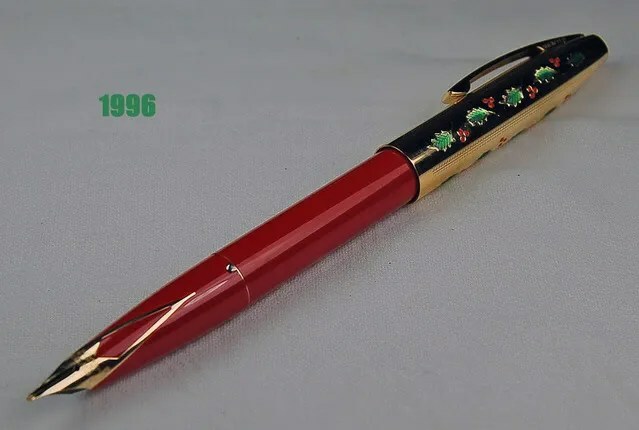 As this is Christmas Eve, I will depart from the restoration theme and just show the Sheaffer 1996 Special Edition Holly Pen. It has a broad nib and is a cartridge/converter fill.